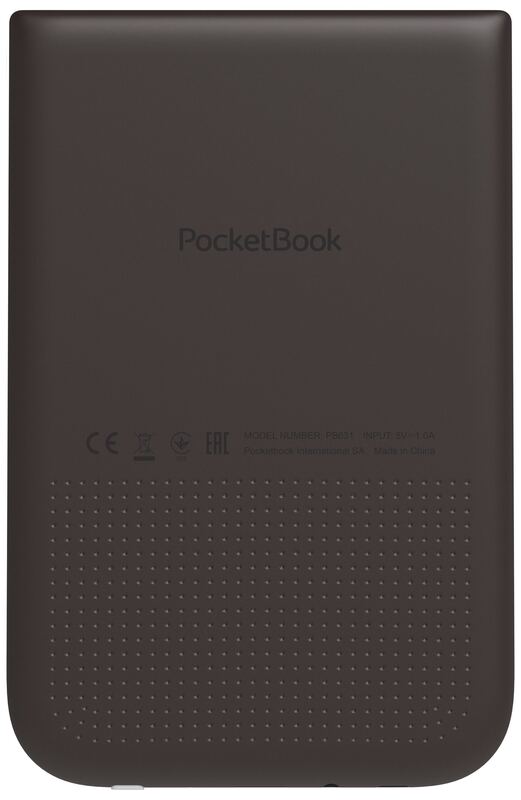 Along with perfect screen characteristics and audio functions the new PocketBook Touch HD 2 features SMARTlight guaranteeing a smooth light balance for harmonious reading day and night. The SMARTlight technology provides a more holistic approach to the comfort and safety of reading. Due to a two-dimensional adjustment, it is possible to attune not only brightness, but also the colour temperature of the frontlight. There are two modes of SMARTlight adjustment. The automatic one, which is set by default, works depending on the time of day and considers human biorhythms. It offers an optimal variant of lighting: soft and warm for relaxed reading in the evening or more intensive for the more active hours of the day. In this way, SMARTlight constantly offers the most harmonious lighting conditions providing exceptional reading experience. For those who would like to control thefrontlight settings personally and according to their individual preferences, there is also a manual mode. 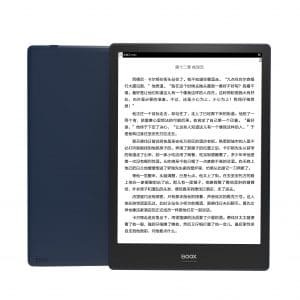 Like its well-known predecessor, the new e-reader received a number of high-end characteristics for the most comfortable e-reading. 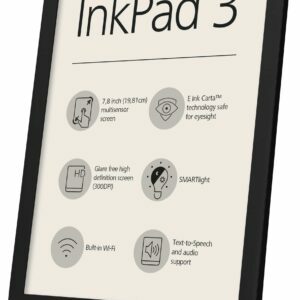 The product is equipped with an infrared multisensory E Ink CartaTM touchscreen with HD resolution (1072 х 1448) and 300 DPI, which guarantees both high contrast and sharpness of the e-book page. Integrated audio features offer opportunities to listen to audio books or to enjoy music while reading. PocketBook Touch HD 2 supports the mp3 format and has a standard 3.5 mm audio jack. 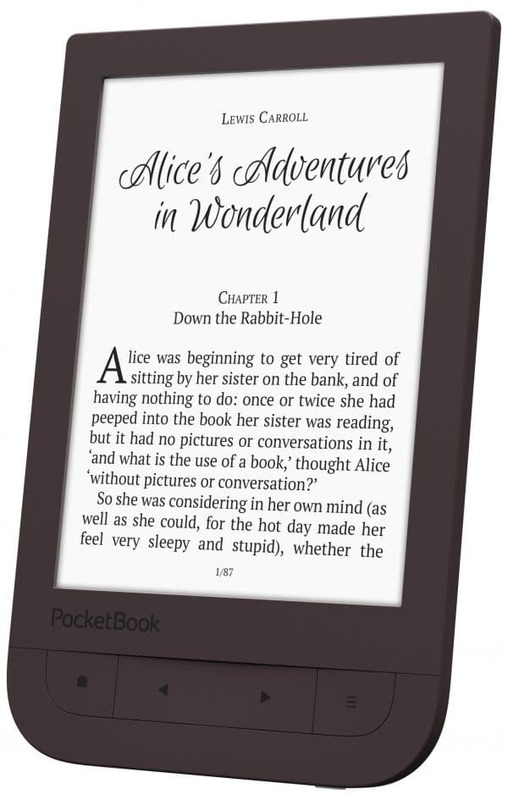 With the Text-to-Speech function, which converts text into spoken voice, the e-reader will read aloud any text file in any of the supported formats. 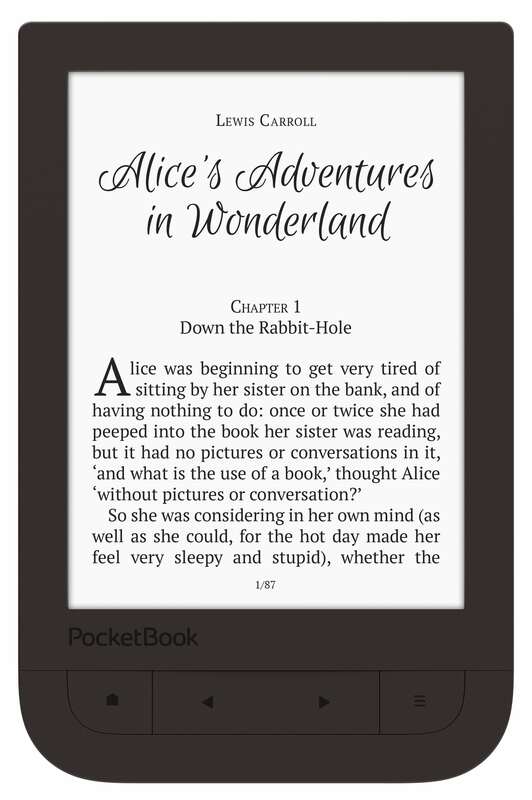 The dimensions of only 113.5 x 175 x 9 mm and the low weight of 180 g make the e-reader a perfect companion for people on the go. The soft touch casing does not only feel comfortable, it also provides a secure grip. 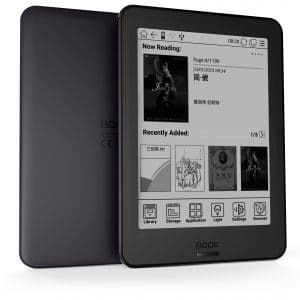 On the front, there are ergonomic paging buttons, which may be used most conveniently together with the touchscreen of the device. 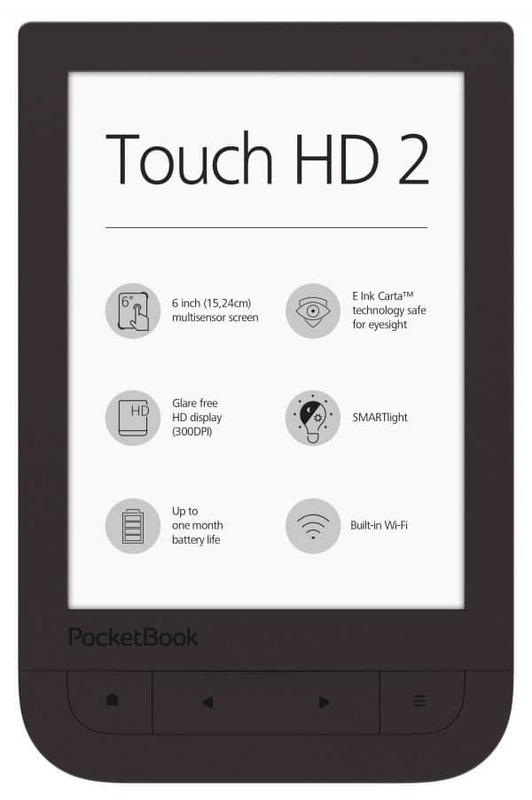 PocketBook Touch HD 2 – your smart e-reading companion. 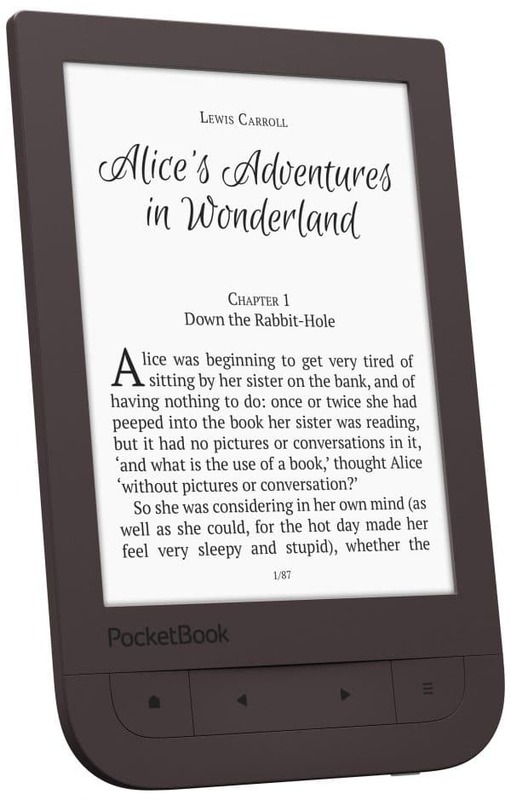 The e-reader received 8 GB of internal memory and a microSD card slot (up to 32 GB) to store the user’s digital library and audio book collection. 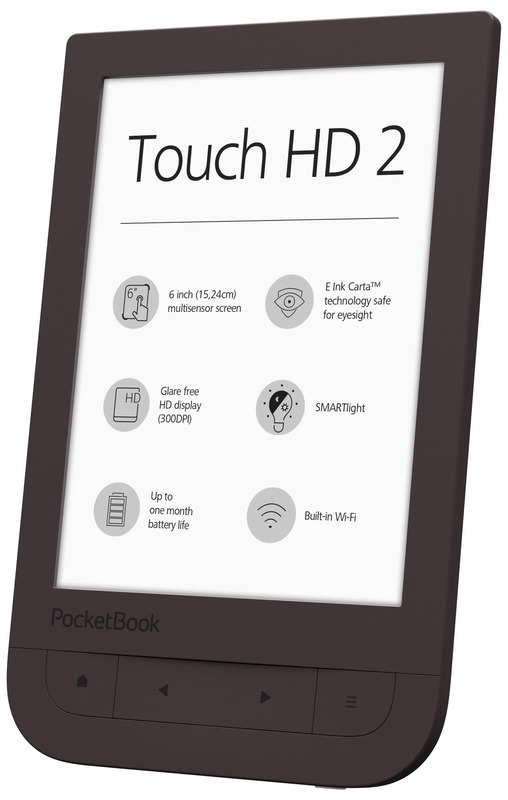 The PocketBook Touch HD 2 supports 17 popular book formats without converting as well as 4 graphic formats (JPEG, BMP, PNG, TIFF). 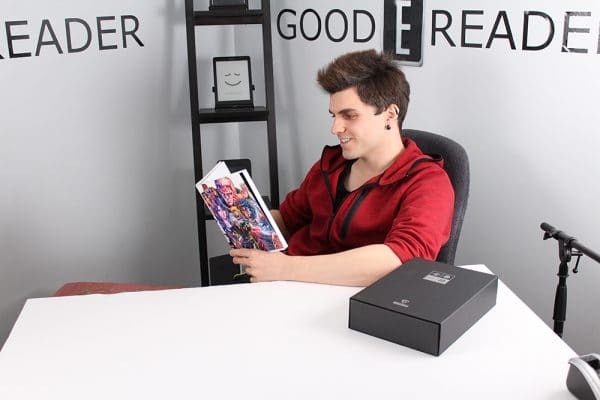 With built-in Wi-Fi, Dropbox, Send-to-PocketBook, PocketBook Sync and PocketBook Cloud services, the delivery of any e-content onto the device is fast and easy without connecting to a PC. 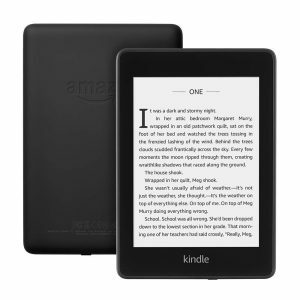 The library of the e-reader contains 97 preinstalled free e-books in 14 languages, including 7 in German and 8 in English. Reading with the preinstalled Abbyy Lingvo® dictionaries will help to improve foreign languages skills with fun and pleasure.